Anyway, to make up for it, I’m posting two reviews in one! 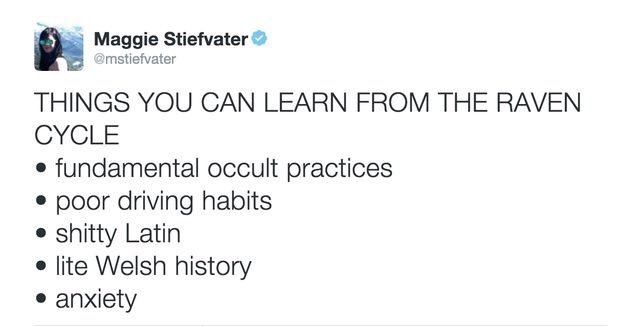 I also thought this might be a bit easier for everyone, since the two books I’m reviewing are the second and third books in a series: The Raven Cycle. 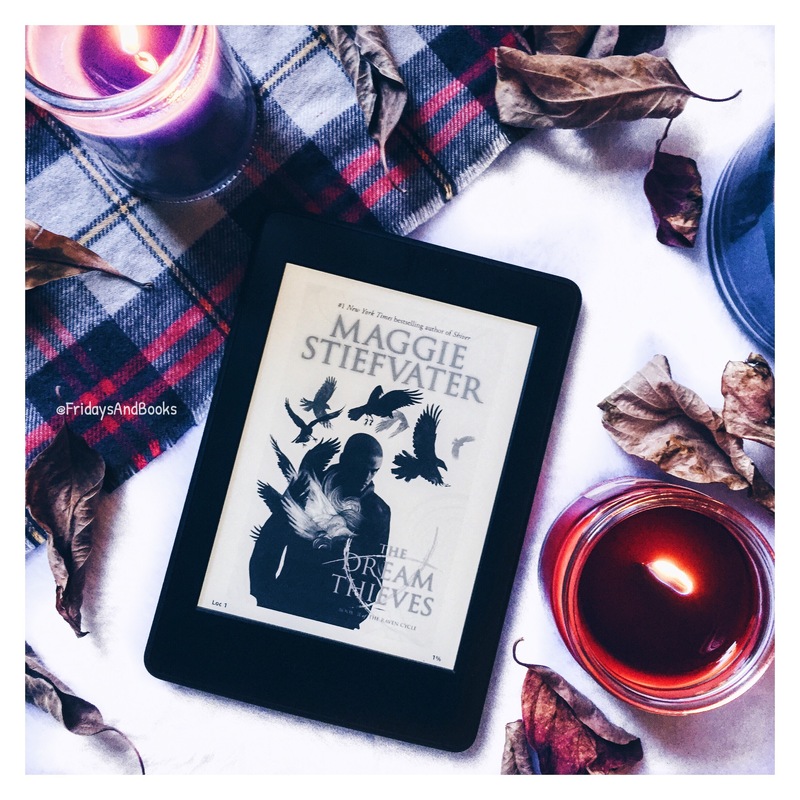 I reviewed the first book in this series, The Raven Boys, a couple weeks ago after finishing it in just a couple days. You can read that review here. Since then, I’ve marathoned the next two books, The Dream Thieves and Blue Lily, Lily Blue (click the titles to view their Goodreads pages). And if you know me at all, you know I can fly through a series when I’m enjoying it. My bookish friends have told me that The Raven Cycle is like a black hole that’s sucking me in. And maybe it is. But through all the fangirl feelings, shipping, and browsing the internet for fan-art and tumblr posts, I’ve been enjoying the ride into oblivion. Even though people really love this series and that should have given me confidence, I was still a little nervous to tread into a sequel so quickly after reading the first book. Cause, what if it sucked? I didn’t want a negative light shining on an otherwise awesome first book. But this second installment was so awesome. It was definitely comparable and maybe even better than the first? Another thing I loved was the real-world elements brought into this magical world. Blue’s crazy family? A hit man? And Adam’s struggles? I loved it all. It made everything feel so realistic, like it could really be happening in your own quiet town. The thing that made me the saddest, but also happiest, were the moments with Noah in them. My heart breaks for everything he goes through, especially because there is no real way to help him without loosing him. But God, he’s just the cutest. I love that him and Blue get along so well. And that in a funny way, him and Ronan can be playful because they really understand each other. 5/5 stars for sure! 🌟🌟🌟🌟🌟 No sophomore slump here. Oh, book three… This book was maybe the best yet! I loved how it carried the story along, both supernatural and mundane. If possible, I loved the Raven Boys and Blue even more for all the things they do for each other. The forbidden romance was also alive in this one. The magic was also very alive in this installment. The introduction of a few new characters was welcome and honestly, hilarious. Although there was plenty of tension, I laughed out loud numerous times. But I also cried. My emotions ran high throughout this book. Now, I’m going to gush a bit about Blue and how badass she is. I love her fierce attitude, her snarky comebacks, and how she stays grounded surrounded by mayhem and magical people. I also adore seeing Gansey through her eyes. When he loses the mannerisms of old money and careless comments, and becomes just a boy in glasses looking for something to make him feel worthy of each breath. The moments with Noah broke me even more. But I loved every second. So, this was definitely another 5/5 star book 🌟🌟🌟🌟🌟 ! 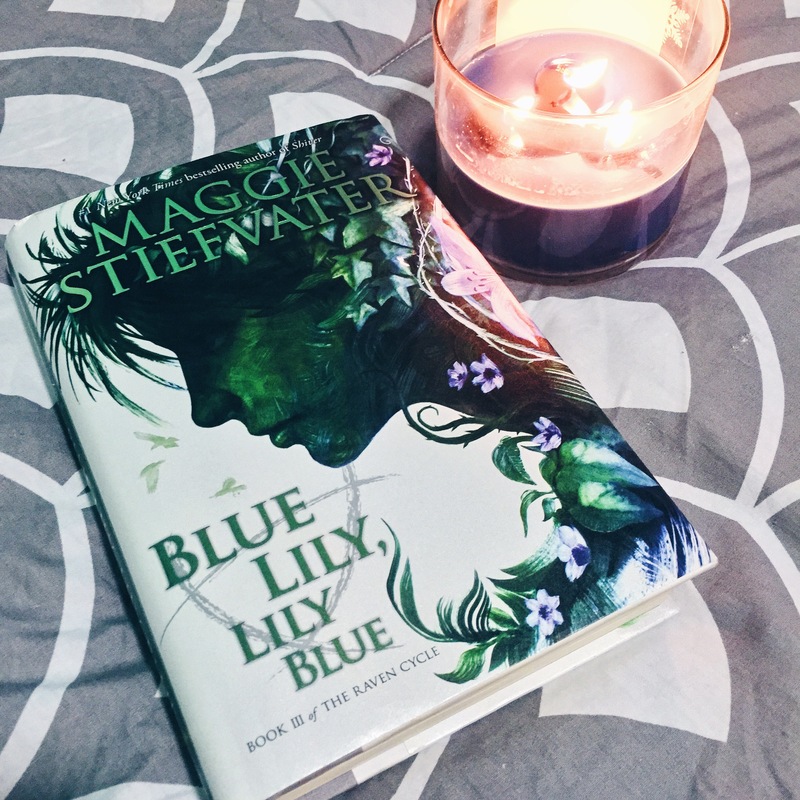 If you’re hunting for a magical world that will leave you lusting for more, give you major feels, and stress about how it will all end happily, definitely pick up this series and enter this magnetic fandom. A low-grade asshat, hah! I love Ronan. I’m glad you liked BLLB! That was my favorite of the series. Great magic and development. I love all the unique characters in this series – they all have different personalities, different desires. And Noah! Agh, he’s so cute. It made me sad, too, thinking about him and how they can’t really help him…maybe the only way to help somehow is how they’ve been such great friends for him. I’m sure you’ll get to The Raven King soon, if you haven’t already, and I look forward to seeing what you think! Yes! I love all the characters for those exact reasons. No one feels flat or like the same character with a different name. They are all so unique. And I actually started and finished The Raven King already! I’m going to post a review soon. It felt a little anticlimactic, but also kinda perfect. But I feel like here are things left unanswered, so I’ll be so happy to get Ronan’s trilogy. I actually felt the same about TRK. I made my own review and talked about the anti-climactic feel and parts felt unanswered. I made a spoilerific companion for it, too, so people can see why exactly I felt the way I did. But I’ll always love the characters!